The Precision Machining Technology Show 2017! 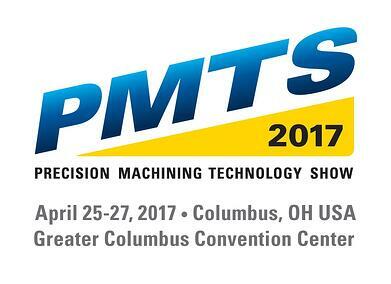 PMTS is the only tradeshow in North America dedicated to the people, technology and suppliers of the turning and precision machining industry. We'll be there the whole time in Booth 1037. Pre-registration is free, so don't forget to visit the PMTS Website to register now. Using MachineMetrics, OEE Performance can be tracked for each job and for the entire factory floor automatically and in real-time. By focusing on availability, performance, and quality, performance can be improved by 20%. Factory floor dashboards and notifications are installed that monitor production against goals. Display dashboards on big screen TVs across the shop floor. Access them from any internet connected mobile device when on the go. Simple to use touchscreen tablets mounted right at the machine control allows operators to add human context to machine data. Easily categorize downtime, reject parts, and monitor setup time. Allows managers to better understand machine and efficiency issues. Downtime and Quality Pareto charts at your fingertips will immediately identify the most significant recurring problems at your factory as opposed to responding to the latest problem of the day. Easily drill up and down to the actual machine issues and faults. Want to chat before PMTS? Call 413-341-5747 Now!